This is a behemoth of a book, in terms of size and content. Spider-man has been given an impressive coverage. The amount of research done by author Steve Saffel shows. 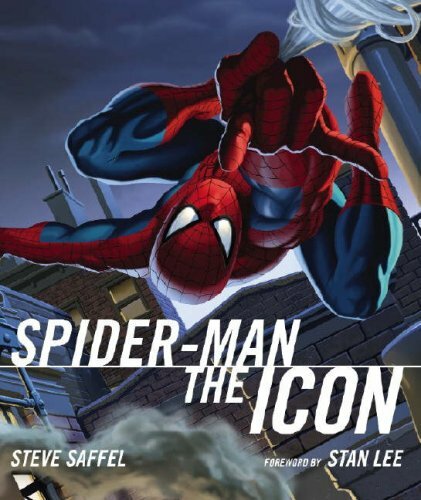 Included is the whole history of Spider-man up to the blockbuster movies. That's from when Stan Lee was only a coffee boy and comics were only 12 cents! There's everything a Spider-man fan could wish to read about. Licensing, toys, media coverage, marketing of comics overseas, re-adaption to different mediums and so much more. The book is written in chronological order. We can see how Spider-man has changed and garnered the immerse popularity it has today. There are tons of pictures in the book. Included are comic covers, toys merchandise, sketches, posters and photos. Every one is well captioned. The clear evolution for Spider-man and his villains can be clearly seen flipping through the pages. There are 320 pages, a rather thick book made more so with the high quality minimal-gloss paper. It will take a while to finish the book. It's highly recommended to all fans of Spider-man.